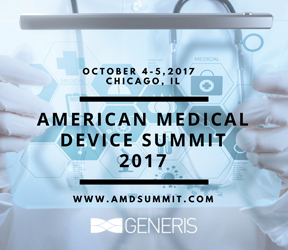 ICS will be joining the Qt Company and over 175 of our industry peers at the American Medical Device Summit. This event sets the standard on how the industry should connect and exchange ideas while exploring the challenges and opportunities in product development, quality management, speed to commercialization, and regulatory harmonization. Hear first-hand case studies and walk away with strategic insights to streamline processes, reduce costs, and remain compliant in an ever evolving environment.